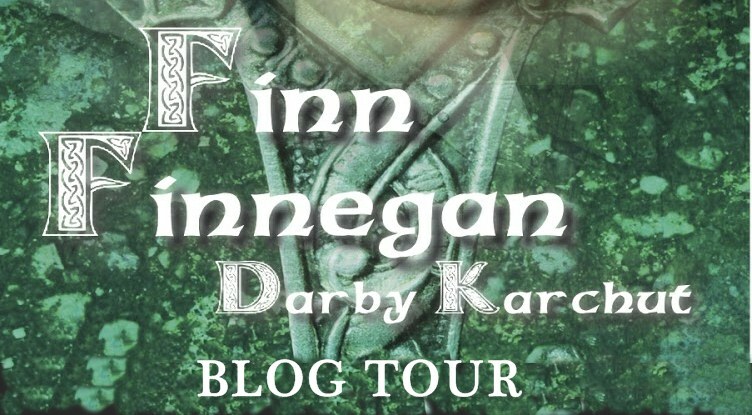 Welcome to the Finn Finnegan Blog Tour! I'm excited to be participating in this awesome event! Have you heard of this totally spectacular book? Armed with a bronze dagger, some ancient Celtic magic, and a hair-trigger temper, Finn is about to show his enemies the true meaning of "fighting Irish. I want to thank Spencer Hill Press for providing me a copy of this book to read and give an honest review. Receiving this book for free has in no way influenced my opinion or review. The first thing that drew me to this book is the cover. I love the green color. And the title font is totally awesome. The cover really conveys that this book is about something Irish and some kind of “warrior”. Immediately, I knew I was going to be intrigued by the story. The cover, combined with the blurb had me really chomping at the bit to get my ARC! And when it came in the mail, I jumped right in. Finn MacCullen’s character is really great. Karchut portrayed a young boy coming into himself so well. He’s determined and stubborn. He wants to be independent but is constantly learning in order to do that he must listen and learn from his mentor. 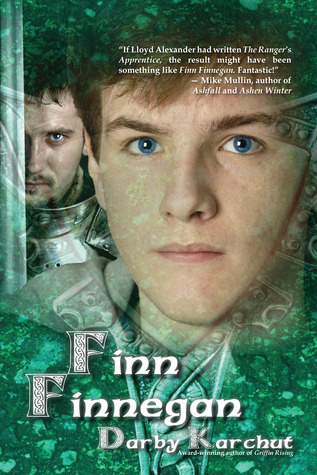 And Finn is a modern boy who is enveloped in a world of lore and fantasy. In a world we only dream about with monsters and magic. Gideon Lir is such a great father figure for Finn. He’s tough, but certainly has that gentle lovingness underneath that a 13 year old boy needs in his life. He teaches Finn great lessons, but tries to protect him at the same time. It’s nice to watch his character unfold from a man who shields himself behind a wall to hide his feelings into a man who truly cares for the boy in his keep. And he is a master at teaching Finn lessons through demonstration rather than pure explanation. I could really hear Gideon’s lyrical Irish voice in my head as I read the book, which I loved. The secondary characters were great as support. Working in another warrior and keep was a great balance and certainly helped Finn learn a lesson of true life. And having Finn welcome human friends into his life was also surprising but really showed that this boy turned warrior really was just the 13 year old boy he needed to be. The characters are realistic and relatable. I can surely see another 13 year old child understanding everything Finn is going through during this story. The story certainly had me guessing. I wasn’t sure where it was going or where it would end up. I love how Karchut mixes our modern world with the world of the supernatural. The use of the ravens to signify trouble is particularly interesting seeing as this bird has typically been used to signify a bad omen or the coming of war. It was a great choice as Finn and Gideon face a war on their people. It was great to watch Finn grow and learn; to come into himself and see that he is truly a Tuatha De Danaan. I loved Karchut’s writing. It flowed well and was easy to read. I’m glad she put a key at the beginning for the pronunciation of the Irish words. For sure, I would never have pronounced those words the way they are supposed to be said. And the way the book was written you could put it down after a chapter if you needed to, which is often the case with me as I have three kids to care for! I really haven’t had the chance to read much middle grade as of late. But I do enjoy them when I’m able to put them on my TBR. This is one not to be missed. If you have a child who reads middle grade adventure, this is surely for them. Job well done Darby for a book that is not only interesting but teaches life lessons while pulling you along through a great story. I can’t wait to read the next adventure Finn and his crew embark on! Sounds awesome, right? Well, here's where you can buy this totally terrific read! 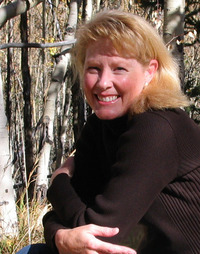 Darby is a 7th grade teacher at Cheyenne Mountain Junior High School in Colorado Springs (social studies). Her school is the 2012 Colorado Middle School of the Year, and was the runner up for the 2012 Middle School of the Year for the U.S. She’s available for radio, television and print interviews, as well as guest posts. Feel free to be creative and conduct any sort of interview you would like, including character interviews or Rapid Fire Questions. Or share the book with your own midgrade reader and have them create questions for Darby! Finn Finnegan’s blog tour will begin February 2013, continuing through and past the release date in March. Darby is also available for signings, readings and in-store events aimed at students with an interest in writing. Right now, all dates for the tour are available. Please email soon to make sure you snag your preferred post date! And to top things off, Spencer Hill Press offering an awesome giveaway during this tour! So go on, enter to try and win!